Ready for some fun? Make your own trendy dollhouse with furniture, dolls and pets! Build a colourful two-storey dollhouse out of sturdy board pieces that fit together easily. Next, add a staircase and decorate with stickers. Now it's time to let your inner interior designer come out to play! 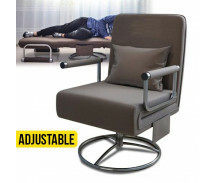 Furnish the eight rooms of your new dollhouse with foldable furniture. Finally, it’s time to move in! Fold the stand-up doll punch-outs – don't forget the pets! 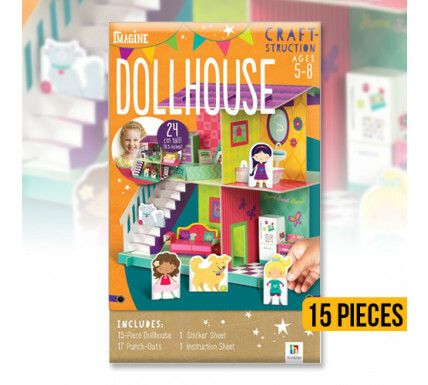 Containing all you need to create a beautiful dollhouse, this kit is a great gift idea or a rainy-day activity.